We supply and fit parking sensors for Fareham that are guaranteed during your ownership of the vehicle to which they are fitted. As we are a mobile service, we come to you. If you are not based in Frahem please give us a call to see if we cover your area - we can come to your home or to your place of work to fit your parking sensor and / or reversing cameras. We supply high quality parking sensors and reversing cameras with the latest designs and our parking systems can meet your precise requirements. We do not have a 'one type fits all' service! You can trust your car to us as you will be leaving it in experienced, skilled hands - we are a family company and will listen carefully to what you want. There are many different solutions to parking problems and we will discuss yours with you individually. Parking sensors are always painted the same colour as your vehicle except when the bumper is black. Parking sensors are always guaranteed as long as you own the vehicle. Cameras and monitors are guaranteed for 2 years. We need the colour code for your vehicle, visit http://paintcode.co.uk for more information or you can call your vehicle dealership, ask for the parts department, and they can give it to you from your registration number. The installation can be done at your home or workplace. We do not need access to power. Why Choose Us for Your Parking Sensor? Quite simply... because we have the skills and experience that you can rely on. We know that your car is more than just something that gets you from A to B, it’s your freedom. For essential daily activities such as traveling to and from work, buying groceries and picking up the children from school your car is invaluable. You depend on it, so it’s important that you receive quality goods and a service that is unrivaled in the industry. We are a family owned business and have been in the motor trade since 1974. 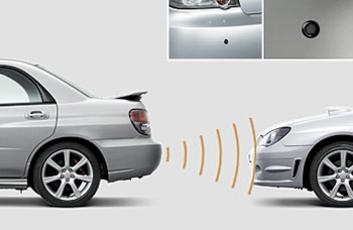 Our first set of parking sensors was fitted in 1998 when parking sensors were just beginning to be fitted and we have built an unrivalled reputation in the industry. A number of members of our family are included in the business which means we offer reliability and trust to our customers. Parking sensors and rear view cameras for Fareham - fitted at your home or your workplace. We do cover a wider area - if you are not based in Fareham then just contact us to see if we cover your area. Our reversing cameras are excellent if you need to see closely behind your vehicle. They make all the difference as you can see so much more than the view in your mirror! We fit rear view or reversing cameras to most makes of car or van with a variety of fitting options from fitting on bumpers to fitting to number plates. Our 'lifetime warranty' means that the guarantee is for the time you remain the registered keeper of the car to which we have made the fitting. Our guarantee covers ALL costs: labour AND parts. All warranty repairs must be done within 5 miles of the address where we installed the sensors. The warranty does not cover accidental damage or problems caused by dismantling, adjustment or any form of alteration by anyone that is not an employee of our company. If the original system is not available we reserve the right to replace any part or the whole system with a comparable system. An alternative to parking sensors! After-market accessories do not affect new vehicle warranties. There is a common myth circulating amongst vehicle owners and dealership personnel – according to some so called 'experts', that adding after-market parts will void a new vehicle’s warranty. This is completely untrue. 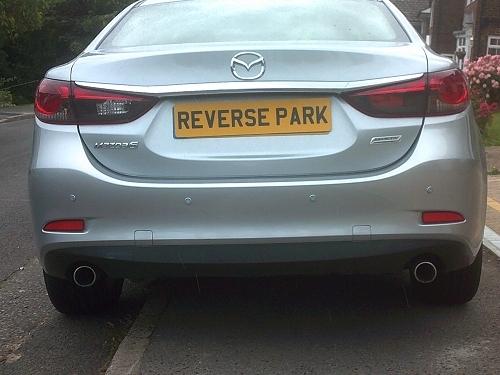 Guaranteed parking sensors - for the whole time that you remain the registered keeper of the vehicle. 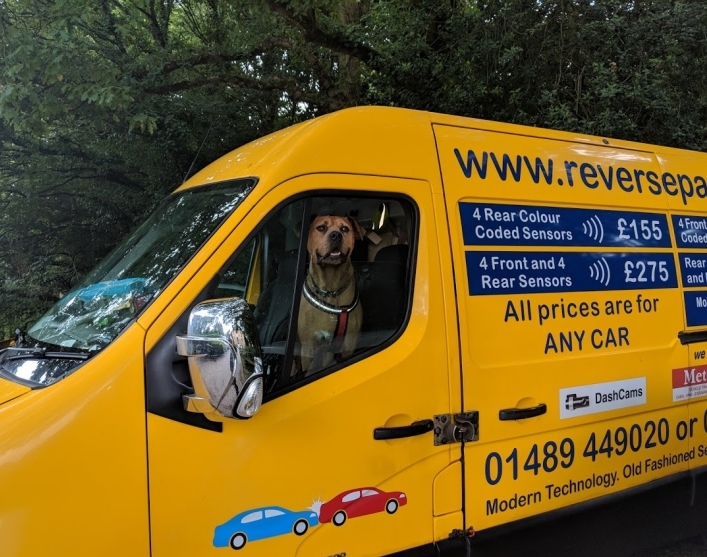 We believe in the quality of the products that we supply and back this up by guaranteeing fitted and colour coded parking sensors against failure for the whole time that you remain the registered keeper of the vehicle. Dash cams are guaranteed for 12 months. 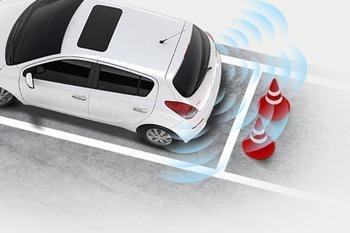 Your vehicle's warranty is unaffected by having parking sensors or cameras fitted. Your vehicle's warranty is not affected by having parking sensors or cameras fitted. We guarantee that should any dealer justifiably refuses a warranty repair because of our work, we will pay the bill. We fit parking sensors to new cars every week for several dealerships. Dear ----, Thanks for your email. Having parking sensors fitted to your vehicle will not invalidate your warranty. I hope this information helps - thank you once again for contacting us and if there's anything else I can help you with please do not hesitate to contact me. 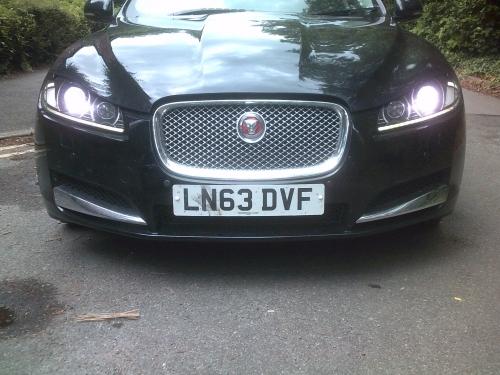 Our parking sensors for Fareham include many excellent brands, eg. Dolphin parking sensors, Cobra parking sensors, CKO parking sensors, Steelmate parking sensors, Veba parking sensors & Halfords parking sensors. We are authorised dealers for many brands of parking sensors and reversing cameras and can supply the perfect match for your requirements. Just contact us, let us know what you have in mind or have a chat with us about what would be the most suitable parking sensor or reversing camera for your vehicle. Cobra's parking sensors are a market leading innovative company. Cobra parking sensors are the choice of many vehicle manufacturers fitted as original equipment. Cobra parking sensors totally flush sensor eye installation and provide a superb 'manufacturer style' finish. Dolphin parking sensors, established in 1997, have a market leading range of reverse parking sensors. Dolphin Automotive has an extensive range of options available and Dolphin parking sensors can be bought in a range of pre-coloured parking sensors that can closely match your car paint. Steelmate Automotive (UK) Ltd., founded in 2002,is one of the leading suppliers of parking sensors to the automotive industry. Steelmate parking sensors are one of the largest range of parking systems with innovatively designed visual displays and they take pride in their commitment to customers. CKO has been involved in the design and development of products for customers in the automotive and commercial vehicle industry for over 20 years. Their products are sourced directly from established manufactures in China, Korea, Taiwan and leading manufactures in the UK and Europe. CKO have a research & development and quality control facility located in China. Veba have a large range of parking sensors and other products - there is a Veba parking sensor to suit almost every requirement. Veba's range includes high quality innovative observation and safety equipment including reversing cameras, reversing monitors and parking sensors. Veba has high quality bumper fitment products, as well as wireless and colour coded options. We believe in offering great customer service, the old fashioned kind. Have a look at what our customers say about us below. "Very prompt reply to my initial query, and gave good advice on options for sensors/camera and monitor. On the day he arrived promptly, continued to give good advice on which camera was best and sensor positioning. The install was completed in just a couple of hours, and a very tidy job done. Almost no cable is visible, all car trim has been properly put back and the sensors are colour-coded perfectly to the car. All in, an excellent job well done from an expert who obviously knows what he’s doing!" 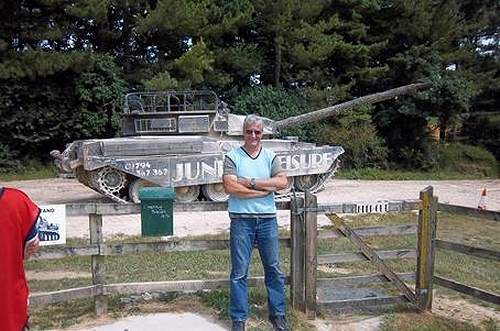 "I'm really pleased with my new rear parking sensors. The whole process of having them fitted from start to finish was easy - with great communication. Thanks"
Lou Mason - Sent from my iPhone! 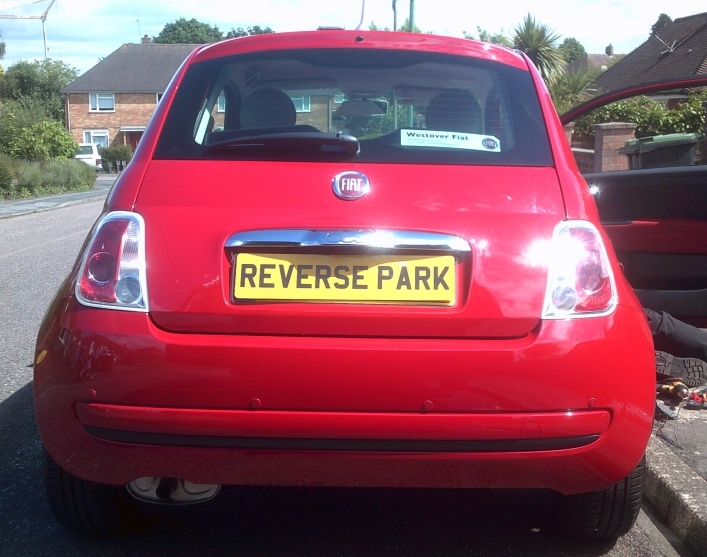 "I have just bought a newish Vauxhall Corsa SRi and I really missed having reverse beepers on my car so I found Reversepark.co.uk fairly quickly and they were local to me. After a quick email for a quote, I was called, the price confirmed and we agreed on an installation date. Everything went to plan and they did an excellent job. Highly recommended for a great service if you ever need anything to do with beepers, cameras etc. Many thanks!" "Thanks for doing a great job today. Sensors work like a dream. £265 transferred. It should be there now. I'll recommend you of others need any work doing!! 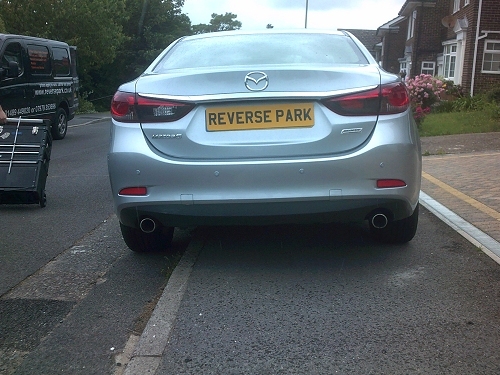 Best wishes"
I recently had reversing sensors fitted to my Mazda MX5 by Reversepark of Southampton at my home in Salisbury and would like to share my experience with you. I contacted them by phone to discuss cost and possible fitting dates. The cost was confirmed, which I had already calculated from the company’s online brochure and we agreed a convenient time and date. They arrived bang on time and set to work whilst I sorted out the coffee and biscuits! The sensors were sprayed to match exactly the colour of the rear bumper and allowed to dry whilst the holes were drilled and the wiring put in place. The final connections were made and it was job done – no mess, perfectly matched sensors and fully operational in a short time. 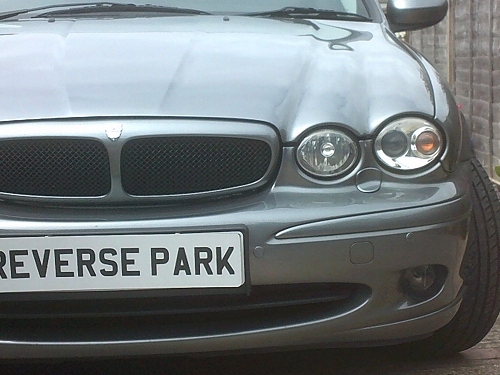 I would thoroughly recommend both the costs and workmanship provided by Reversepark and on a scale of 1-10 the score is 10 on all counts. If you are in or near Fareham in Hampshire and have questions about our parking sensors or parking cameras please feel free to contact us. If you would like us to book a fitting for your new parking sensor or camera, at home or at your woplease get in touch. For mobile fitting - at home or your workplace - of high quality parking sensors and reversing cameras with an exceptional guarantee - parking sensors Fareham Hampshire, parking sensors Fareham, parking sensors Hampshire, parking sensors Fareham Hampshire, ford parking sensors, kia parking sensors, mercedes parking sensors, van parking sensors, reversing cameras Fareham, reversing cameras Hampshire, reversing cameras Fareham Hampshire, fitted parking sensors, dash cams Fareham, Cruise Control Fareham, Vehicle Tracking Equipment Fareham, mobile fitting of dash cams and Vehicle Tracking Equipment Fareham, steelmate parking sensors, dolphin parking sensors, cobra parking sensors, rear parking sensors, front parking sensors & halfords parking sensors. We are a 'mobile only' service. We will fit at your home or place of work.